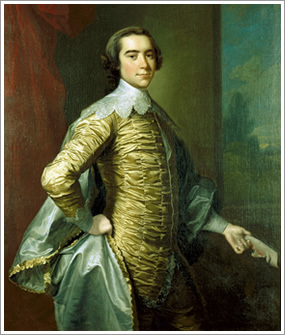 Often referred to as “the first emancipator,” Robert Carter III of Nomini Hall in Virginia’s Northern Neck was an American plantation owner, founding father and onetime British government official. He also owned a large number of slaves as part of his vast estate. Carter’s personal convictions and relationship with these enslaved families led to their manumission in a 1791 deed of gift. Nearly 500 slaves were freed, making Carter’s act of liberation the largest in the history of American slavery before the Emancipation Proclamation. After the death of his wife, Frances Ann Tasker Carter, in 1787, Carter embraced the Swedenborgian faith. He instituted a program of gradual manumission of all slaves attached to his estate by filing a “Deed of Gift” filed with the county of Westmoreland in 1791. He designed the program to be gradual to reduce the resistance of white neighbors. Frequently, Carter rented land to recently freed slaves, sometimes evicting previous white tenants in the process. In all, about 452 slaves from his Nomini Hall plantation and large home in Westmoreland County, Virginia were granted their freedom.